Set in the paradise of Far North Queensland, Cairns State High School always strives to be the best we can be. Made up of 1600+ students and over 200 staff Cairns High is a highly sought after internationally accredited independent public school. In 2017 we marked the year of our Centenary Celebrations and there was much to celebrate. The next 100 years will see the continued benefits of providing an international education to all of our students. This includes the underlying message of striving for excellence and to be the best we can be every day. The school prides itself on the established wellbeing programs across all year levels with the aim of nurturing respect, responsibility and resilience. In the future the school plans some physical upgrades including a main assembly hall area, sporting facilities and learning environments. Our centre of excellence programs in sports, academic, and the creative arts will also continue to grow and develop. 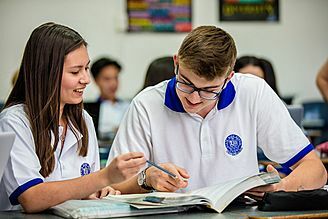 Cairns High has offered the International Baccalaureate Diploma as a senior pathway since 2010 and as a school we enjoy following the life stories of the high calibre and interesting students it produces. The challenging two year program develops inquiring, knowledgeable and caring young people who help to create a better and more peaceful world through intercultural understanding and respect. The program also serves as a preparatory university course with the possibility of university credits. The school is very proud of the increasing numbers and calibre of graduates. 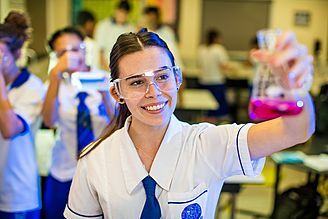 Cairns State High School is proud to be an IB World School and offer the Diploma Programme as an alternative senior pathway.